A topical Featured Poem this week, On Seeing Two Swallows Late in October by John Clare. “What light through yonder window breaks?”: Romeo and Juliet arrives soon! Lovers everywhere pay heed – The Globe on Tour’s production of Romeo and Juliet is around the corner, with just over a month to go until Shakespeare’s most famous and most tragic lovers arrive to take the stage in Liverpool at Calderstones Mansion House. So far the cast have brought the show far and wide since they opened at Theatre Clywd in Wales, from Austria to Norway to the Spoleto Festival in Charleston, South Carolina. They find themselves back on home soil in Stoke-on-Trent this week, and we’re hoping the sun will keep shining to recreate the beautiful scenes seen from their performances at the Brighton Festival in May. Romeo and Juliet will be at the Garden Theatre at Calderstones Mansion House on Friday 24th and Saturday 25th July (matinee and evening performances on Saturday 25th). Tickets cost £20 and can be booked from The Globe’s website or by calling The Globe Box Office on 020 7401 9919. Author LisaPosted on 25th June 2015 Categories Calderstones, Classics, Events, TheatreTags Romeo and Juliet, Shakespeare, Shakespeare's Globe, The Globe on Tour, William Shakespeare1 Comment on “What light through yonder window breaks?”: Romeo and Juliet arrives soon! It’s Shakespeare Week this week, encouraging younger generations to be inspired through encountering Shakespeare’s stories, language and heritage. Therefore, there could be no other choice than to feature the bard himself as our Monday offering for the week ahead. Most of us are likely to start off our experiences of Shakespeare by reading the plays while in school or university, but to know the true scope of his work it’s well worth looking at his sonnets too – of which there are a staggering 154. Perhaps if you’re feeling particularly adventurous you could dedicate this week to reading them all? 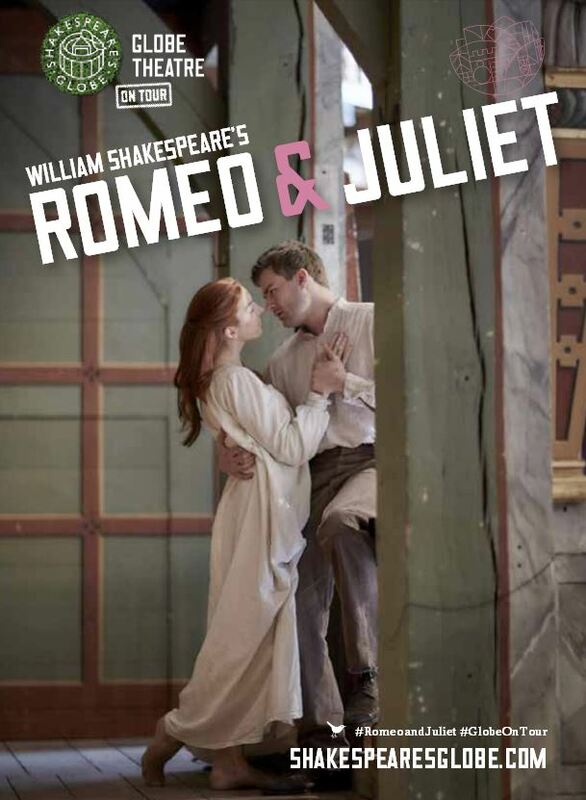 You can experience the wonder of one of the Bard’s most classic tales as Romeo and Juliet comes to Calderstones Mansion House this July with Shakespeare’s Globe. See this post for all the details on how you can book your tickets for what promises to be a spectacular version of the enduring love story. After two previous spellbinding visits, we’re delighted to announce that Shakespeare’s Globe is returning to Calderstones Mansion House this summer with the Bard’s classic and arguably most popular tale of two star-crossed lovers, Romeo and Juliet. Following the versions of King Lear and Much Ado About Nothing that proved to be surefire crowd-pleasers with audiences in Liverpool, The Globe on Tour will visit the Garden Theatre again in July to present the tragic but compelling story. Following performances on the Globe’s stage, a small troupe of travelling players are taking to the road to perform a stripped-down version unlike anything seen before, breathing new life into one of the greatest of all love stories. Shakespeare’s first great tragedy on the streets of Verona. A violent street brawl between their rival families is the prelude to Romeo’s first encounter with Juliet. Despite this, and the fact Juliet has been promised to another, they fall in love. But any plans for their future happiness are cruelly destroyed by renewed violence between their families and tragedy begins to unfold. The honour of playing the famous lovers falls to the appropriately named Samuel Valentine as Romeo and Cassie Layton as Juliet, joining a list including Adetomiwa Edun (Merlin, The Hour) and Ellie Kendrick (Game of Thrones, Being Human, The Diary of Anne Frank) who starred in The Globe’s previous production and of course star names including Leonardo DiCaprio and Claire Danes in what is considered to be the most-filmed play of all time. 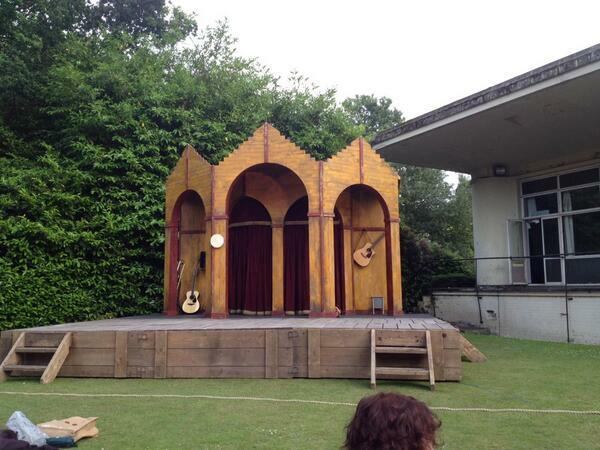 Had a brilliant night watching @The_Globe‘s #MuchAdoAboutNothing @thereaderorg‘s beautiful outdoor theatre at @CaldiesMansion. Magical! To purchase tickets online, please visit the Shakespeare Globe’s website. Note: there is a £2.50 transaction fee for online bookings. The Reader Organisation has a limited number of £15 discounted tickets for shared reading group members and volunteers which can be obtained through your group leaders. Please note: these tickets are not available through The Globe’s website, only physically through group leaders. The performances will take place outdoors so please bring a picnic rug or low-backed seat and suitable clothing for all weather conditions. The plays will go ahead in all but the most extreme weather conditions. Tickets are likely to go fast, so make sure you snap yours up quickly! 2014 is fast drawing to a close, and what a year it’s been for us here at The Reader Organisation. Looking back it’s almost hard to believe how much we’ve crammed into the space of twelve months. It’s been a time defined by growth and development, with new shared reading and volunteering projects around the UK, events for all ages and interests with a packed programme at Calderstones Mansion House all year around, a new anthology to add to our bookshelf and our number of staff has surpassed 100. Before the bells of the New Year ring, we’ve got time to look back on the year that has been…and there’s been so much happening that we’ve had to split it into two parts. At the start of 2014 we announced Better with a Book, our fifth annual National Conference, which explored the connections between reading great literature, improved mental health and the reduction of social isolation. The British Library Conference Centre was vibrant with interested delegates, all of whom came together for a day focused on the impacts of shared reading. 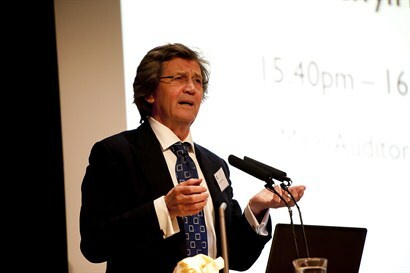 Guest speakers included Lord Melvyn Bragg, who spoke about the effects of reading on his own life and that of his mother, who was diagnosed with dementia; Baroness Estelle Morris, and Dr Alice Sullivan of the Instiute of Education. Most memorable were the personal stories of our Readers, who shared their experiences of how reading has changed their life. Calderstones Mansion House – the future International Centre for Reading – came to life with a series of special events throughout the year. From Half-Term Hijinks and an Easter Extravaganza for children and the family to historical tours of the Mansion and an authentic 1940s-style Tea Dance, there has been tons for the community to enjoy. 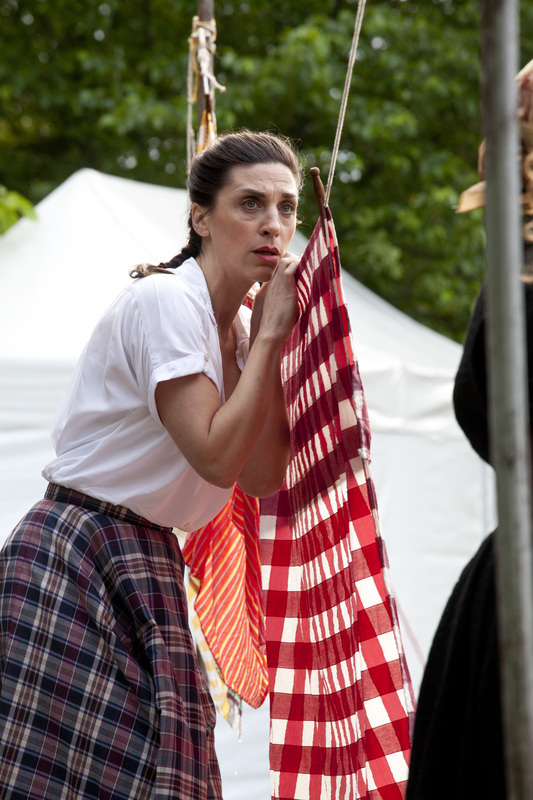 We were delighted to welcome back Shakespeare’s Globe for highly praised performances of Much Ado About Nothing, and the Secret Garden opened up to amazed audiences as we held our first Children’s Literature Festival, complete with storytelling, competitions and giant games of Quidditch. The London Penny Readings returned to the Southbank Centre as part of London Literature Festival, and back in Liverpool the ever popular festive reading and entertainment extravaganza the Penny Readings sold out in record time. 2014 has brought four new issues of The Reader, with contributions from names including Erwin James, Alan Howarth, Margaret Drabble, David Constantine, Maxine Peake, Miriam Gamble and Michael Schmidt. 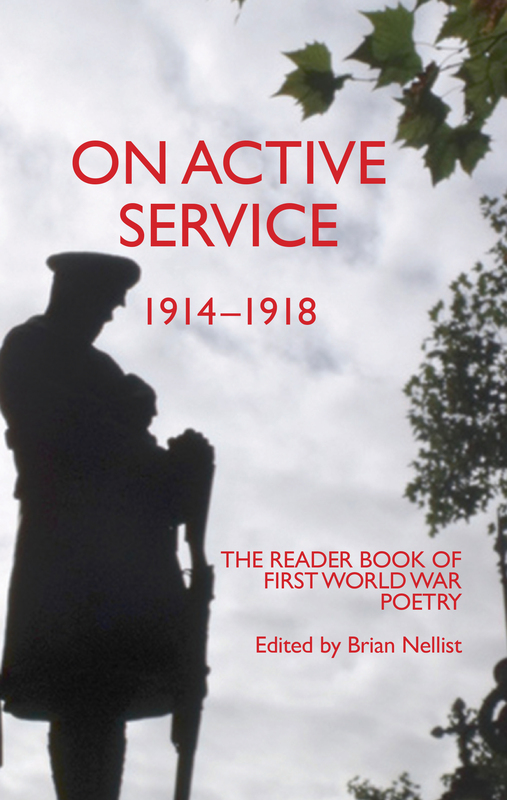 To mark the centenary of the start of the First World War, co-editor of The Reader and Godfather of The Reader Organisation Brian Nellist compiled a new poetry anthology, On Active Service: 1914-1918, remembering the extraordinary experiences of ordinary people commemorated in their own words. Shared reading has been making headlines again, with the positive effects of reading aloud and the pioneering research of Centre of Research for Reading, Society and Literature (CRILS) being mentioned in The Telegraph and The Independent. The happenings at Calderstones and the City of Readers project received lots of local press, and reading aloud came to the airwaves as our groups were featured in two programmes on BBC Radio 4. In his series exploring the English language, Stephen Fry looked at the art of reading aloud – “a life-changing business” – featuring input from our some of our group members, who attested to this statement. Calderstones Mansion House also featured in Open Book, being showcased as a ‘reading oasis’ for the community. Our social media channels are continuing to get people talking about great literature – we have over 8,400 followers on Twitter – with our regional Twitter accounts sparking lots of interest too – and more than 1,700 likes on Facebook. And over the summer, The Reader South West got a visit from a very special guest at one of our regular groups. Her Royal Highness the Duchess of Cornwall enjoyed some shared reading with our group members at Exeter Library while on tour in the area, as well as finding out about our work across the region. Part 2 of TRO’s Review of 2014 is coming tomorrow. We simply can’t get enough of Shakespeare here at The Reader Organisation, and after the marvellous Much Ado About Nothing by Shakespeare’s Globe a couple of months ago we’re thrilled to have another fabulous company join us at Calderstones Mansion House Garden to give us their version of one of the Bard’s other classic comedies. PurpleCoat Productions is a film and theatre group based in the North West of England, creating innovative, exciting and exhilarating work to local and national audiences. With support coming from Stephen Fry, Sir Ian McKellen and working alongside the Royal Shakespeare Company, PurpleCoat are definitely certified to tackle the Bard’s plays, with previous performances including Titus Andronicus and Romeo and Juliet, and we’re very pleased that they’ll be bringing Twelfth Night (or What You Will) in their first touring production to Calderstones on Friday 5th September. If you weren’t lucky enough to get tickets to the recent Everyman version then it’s the perfect opportunity to see the play performed by a talented local cast in beautfiul surrounding perfect for Shakespeare. Please note: there is a £1.20 booking fee for online bookings. The performance will be held outdoors, so please bring along suitable waterproof clothing and a chair or blanket to enjoy the performance to its full potential. We certainly had a most giddy time at the end of last week as we welcomed The Globe on Tour back to Calderstones Mansion House for their touring production of Much Ado About Nothing. Bard buffs, literary lovers and those who fancied a detour from football fever entered the Garden Theatre to enjoy one of Shakespeare’s liveliest and most well-loved comedies. 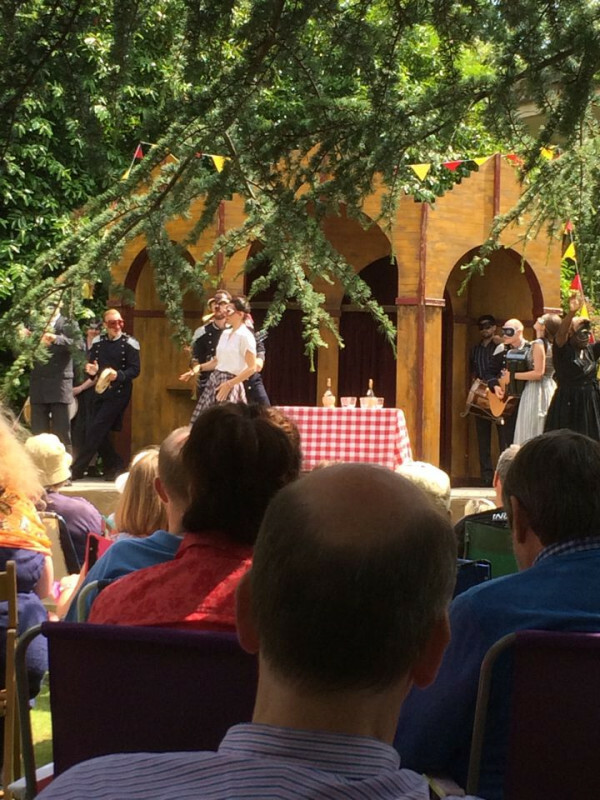 It was lucky enough that the sun shone down – with just a few showers here and there – providing us with the perfect backdrop to proceedings out of doors on a wonderfully authentic Shakespearean stage, and the glorious sounds of many a musical instrument rang out around the Garden Theatre as the merry band of players brought us the story of Much Ado over five performances on three days. The eight strong cast entertained the crowds with aplomb, with Simon Bubb and Emma Pallant putting in stellar performances as the warring would-be lovers Benedick and Beatrice, and local connections coming from Sam Phillips, who played Claudio. Fittingly for a play that is full of fooling and people taking the place of others, the cast switched between characters throughout – perhaps the most inspired change of roles came from Chris Starkie, who played both the dastardly villain Don John and the perennially confused Dogberry. It’s been another amazing Shakespearean experience in the Garden Theatre, and we hope that everyone at Osbourne House in the Isle of Wight will have as much fun when the show rolls up there later this week as we did at Calderstones. There’s no stopping at the Mansion House as our summer programme of events is now online for you to take a look at. From concerts to heritage walks around Calderstones Park, a host of Summer School Sizzlers and our very first Children’s Literature Festival in The Secret Garden of Stories this August, there’s something for everyone to enjoy – and we hope that the weather holds up, but regardless there’s lots of fun in store.